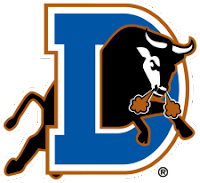 The Game: The Durham Bulls lost to the Rochester Red Wings 1-0 on Saturday night. With the loss the Bulls continue to struggle on the road trip, with a 1-4 record so far on the trip. Rochester scored the lone run of the game in the first inning. Trevor Plouffe, Brian Dinkelman and Danny Valencia all singled to load the bases. Dustin Martin would then plate the run by grounding into a force out with Plouffe scoring on the play. Richard De Los Santos was charged with the loss despite a good performance in his first start for the Bulls. De Los Santos only allowed 1 run on 4 hits with 4 strikeouts and a walk in 5 innings. Joe Bateman followed with 2 shut-out innings, allowing 2 hits with 3 strikeouts. Mike Ekstrom pitched the final scoreless inning, allowing 1 hit with 2 walks. Bulls Player of the Game: Richard De Los Santos; strong outing for his first AAA start, allowed only one hit outside the first inning and recorded 4 strikeouts in 5 innings worked. A Look Ahead: The Bulls (15-9) play Rochester (10-13) in game two of the series on Sunday at Frontier Field. Carlos Hernandez (2-0, 3.68) will start against Yoslan Herrera (0-2, 3.86).